Most of California and especially the Sacramento Valley has been hit hard by the declining values since 2005/2006. With declining values should come declining taxes. If you purchased your home from 2002-2006 there is a good chance you are paying too much in property taxes to the state. You're not the only one, many people are paying taxes on the inflated values paid from 2002-2006. Most localities determine your property tax burden based on an ad valorem assessment of the property's value. Sometimes, as a property owner, you get an unwanted surprise in the mail telling you your taxes are going up, and sometimes it may seem as though your assessment is too high. You may also have not received the reduction in taxes based on the reduction in value your neighborhood has received. Let On Time Appraisals determine the market value of your property. The Sacramento Valley has been hit hard by declining values. 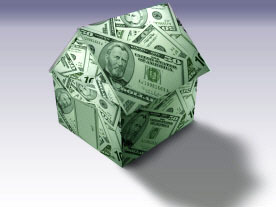 Let us verify the value of your property so we can help reduce your tax liability. Often, matters like this can be resolved with a phone call. However, if after discussing your assessment with your local taxing authority you still feel as though your property was overvalued, a professional, independent, third-party appraiser is often your best bet in proving your case. That's where we come in. Allow us to offer your burden of proof. Don't rely on the automated websites to provide an estimated value. These are typically not an accurate figure rather an estimated figured based on all surrounding data. There are as many different procedures for appealing assessments as there are property taxing districts, so it's important to enlist the help of a professional appraisal firm that's experienced and trained to know the ins and outs of your particular jurisdiction. On Time Appraisals will gather the appraisal documentation needed to help you process your appeal. You can also review the website of the Sacramento County Tax Assessor: https://www.assessor.saccounty.net/DeclineinValueReassessments/SAC_ASR_DF_Decline_Value. For outside Sacramento County, Google your county's Tax Assessor for more information. Please note: It makes sense to do your own research before determining whether to go forward with a property assessment appeal, especially before you make the decision to hire a professional appraiser. However, according to the Uniform Standards of Professional Appraisal Practice (USPAP), we are not allowed to take "shortcuts" (i.e., your research) to use it on its face value as part of our independent evaluation. When you hire us for an assessment appeal, you're commissioning an independent, third-party professional appraisal report. As such we do our own evaluation, beginning to end. If you're right that your property has been overvalued, an independent report such as ours will be even more persuasive than any other evidence you can develop on your own. It ultimately depends on our ability to do the work independently. Sometimes, you will have a hearing on your assessment appeal and will need for the appraiser you've hired to testify on your behalf. Be assured that at On Time Appraisals, we are able to professionally and persuasively testify at appeal hearings to be your expert witness as an added service.